Fold in the half-cut laser lines of the separate upholstery seat – be careful to fold in, not fold out. Then apply a drop of glue at each of the four corners, to shape the seat part to be used upside down later. Fold along the engraved lines and shape into a chair. 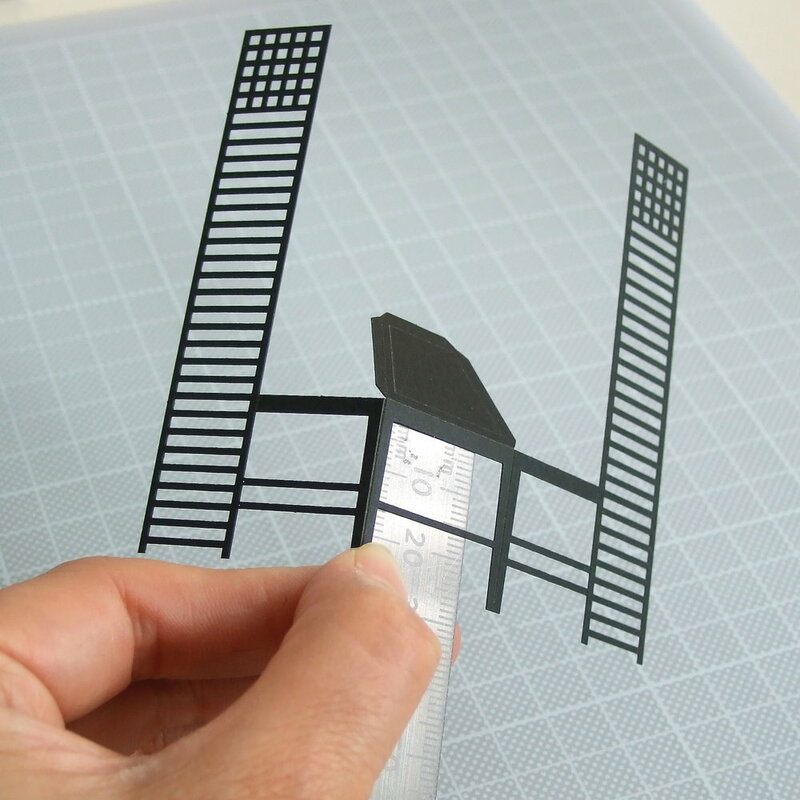 Place the edge of a ruler behind the engraved line – this helps to make the fold easier and more precise. Let’s assemble seat and legs – apply glue to the hatched area, with a pointy stick (such as a cocktail stick), fold in both sides of seat as well as one of the backs, and press firmly in position. Apply glue ( not too much! ) to the hatched area, and press together the two parts of the seat back. Clean out any excess glue with your pointy stick, such as a cocktail stick. Glue the two trapezium shaped parts of the seat cushion together, and glue them onto the seat, at an equal distance from the laser lines. Then, glue on the seat cushion which you assembled earlier. Finally, a little optional touch changes the look of this chair. Form a slight curve for the back as shown in the picture below, press and roll it with the ball of your thumb against a solid corner.